Tapstore.com have a responsibility to the environment and we would like to encourage you to help by recycling your waste electrical goods Please help us to minimize the effect we have on the environment by recycling your waste electrical goods. To see the Tapstore.com policy on recycling your old electrical products, please visit WEEE.tapstore.com for advice on all aspects of recycling, including recycling of waste electronic equipment, please visit the recycle more website where you can find out the locations of collection points near to you. Tapstore.com offers a collection service for your waste electrical goods which you are welcome to use. We will arrange to collect from you any replaced electrical and recycle the goods for the cost of collection. From UK Mainland addresses this currently £15.00 (excluding some post codes). If you would like to use this service then please contact us via email at customerservice@tapstore.com or telephone on 0843 658 0062 and we will be happy to advise you of the exact collection costs and arrange the collection for you. 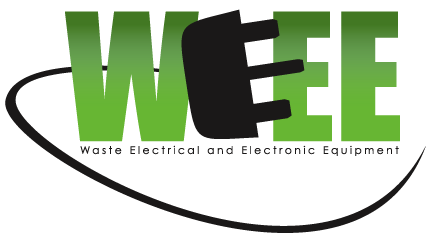 A, WEEE is the Waste electrical and electronic equipment directive. Tapstore.com and our associated websites are obliged under these regulations to offer our customers free take-back of their WEEE on a like-for-like basis when they buy a new Electrical or Electronic product from us. For example, if a customer bought a new electric shower or pump from us we would accept their old Electric shower or Pump and prevent it going into a landfill site by disposing of it safely. Customers must return their WEEE item to us within 28 days of purchasing their new item.